As much as I love the idea of eco-friendly recycled toilet paper, every brand I’ve tried has been terrible quality, costly, and often surprisingly still wrapped in plastic! When a zero waste swap costs you money (and comfort!) it really puts you off making any permanent changes. I’ve heard a lot about Who Gives A Crap but my doubts about the quality and cost of environmentally-friendly toilet paper put me off placing an order. Investing in a box of 48-rolls only to find they’re scratchy or flimsy is a risk I didn’t want to take. I was pleasantly surprise when I found that for the cost of shipping, you can get a free trial box containing two recycled rolls and two premium bamboo rolls, which is perfect for sceptics like me! Zero plastic is used in the delivery of your Who Gives A Crap toilet rolls. A branded cardboard box arrives at your door and inside you’ll find individually wrapped toilet rolls. No lugging a giant plastic-wrapped pack back from the supermarket, you can order online and it's delivered to your door. The packaging is so cute I don’t even mind having it out on display in my bathroom. When a new roll has been unwrapped and used up, the decorated paper and rolls can be made into pet toys or reused as stuffing in packages. Who Gives A Crap makes their toilet paper without using trees, the recycled rolls are from 100% post-consumer paper with no inks, dyes or scents. Each roll is 3-ply with 400 sheets per roll making them super soft and plump particularly the premium bamboo toilet roll, which is made using 100% forest friendly bamboo. Unlike every other eco-friendly toilet paper I’ve tried, there’s no compromise on quality here, this green alternative to standard toilet paper looks and feels better. 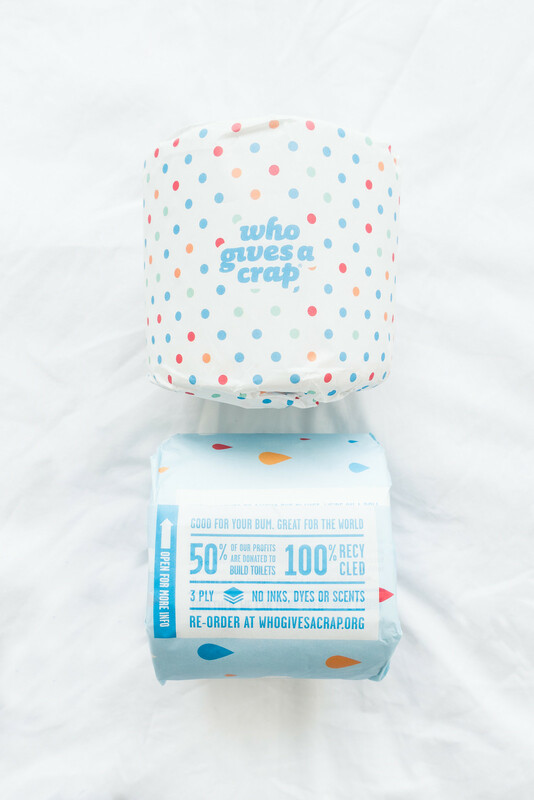 Who Gives A Crap is reliably sturdy yet luxuriously soft, slightly textured on one side and super smooth on the other. 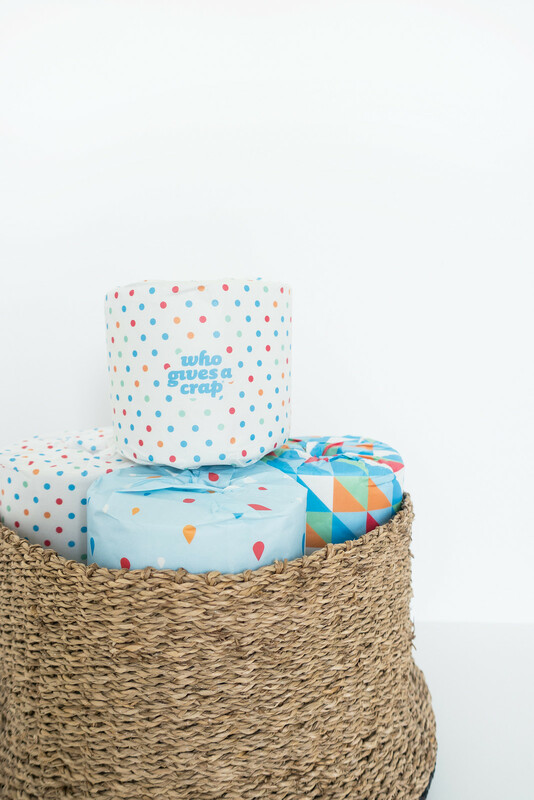 Who Gives A Crap are filling a gap in the market by providing plastic-free, recycled toilet paper using low-waste packaging that is every bit as good as the standard options you’d find in your local supermarket. Except where Who Gives A Crap really stands out is that they’re driven by a do-good ethos. 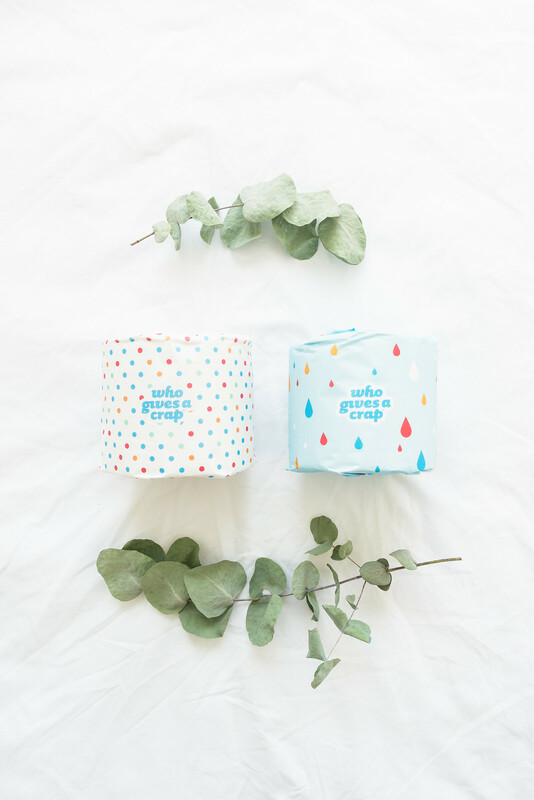 All of their products are made using environmentally-friendly materials, and they donate 50% of their profits to help build toilets for 2.3 billion people in need. Want to know more about how they’re changing the world? Read their latest impact updates. It’s all very well telling you how great the toilet paper feels and what Who Gives A Crap are doing for our environment; what’s really important is how it affects your wallet and whether making the switch to their eco-friendly products is an affordable change to make. I typically order 45 rolls of Andrex Classic Clean toilet paper from Amazon so I’ve compared the price and quality of those against the Who Gives A Crap 100% Recycled Toilet Rolls. The 100% Recycled Toilet Rolls from Who Gives A Crap cost £36 for 48 rolls. Each toilet roll is 3-ply with 400 sheets (38 meters) per roll, making the cost per roll 75p or 18.8p per 100 sheets. There’s zero plastic aside from a tiny bit of tape on the delivery box, and the packaging can be repurposed or recycled. Andrex Classic Clean toilet rolls cost £17.50 for 45 rolls from Amazon (the price can fluctuate slightly). Each toilet roll is 2-ply with 200 sheets (25 meters) per roll, making the cost per roll 39p or 19.5p per 100 sheets. Each order of 45 rolls comes divided into sets of 9 with each set being wrapped in plastic. At first glance I assumed Who Gives A Crap was more expensive but each roll is twice the size of my usual toilet paper so not only are they cheaper, you actually use less paper because each sheet is thicker. Although cheaper in the long run, in the short term bulk buying isn’t always possible with everyone’s budget or storage space. 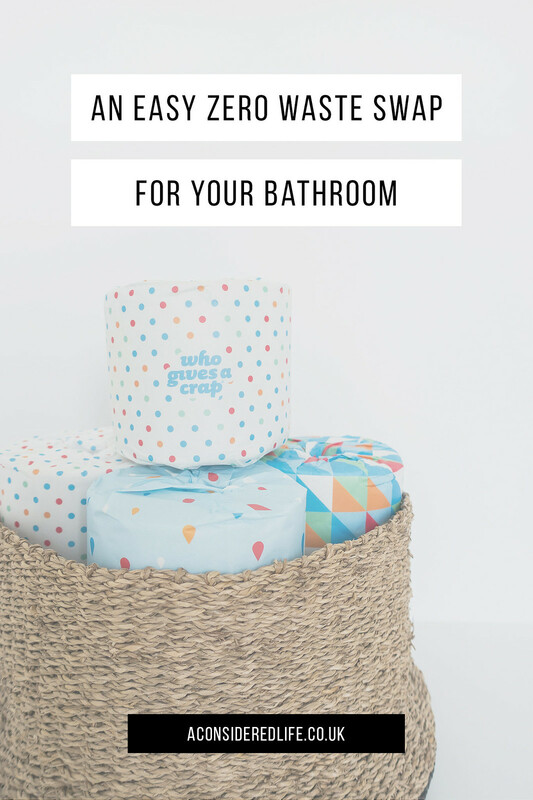 If investing in a box of 48 rolls isn’t an option for you, you can try the 24 box or consider splitting the cost and sharing a box between family members or even friends; you can benefit from cheaper toilet paper that’s low waste and eco-friendly. I hate that my usual order comes wrapped in so much plastic but up until now I didn’t see any alternative. Bulk buying was more convenient but it wasn’t eco-friendly at all. Having tried Who Gives A Crap and knowing it’s more cost effective and low waste to make the switch, I won’t be hesitating to order from them again. The service and product is fantastic; there’s no different in quality and I don’t feel I’m compromising just to make a more eco-friendly choice. It’s actually made me realise how good other brands are at making it seem like you’re getting quality toilet roll for a cheap price when really it’s a smaller roll and thinner paper! Switching out our toilet paper for a more sustainable option is one of the many small ways we can easily reduce our waste. If you’re debating whether Who Gives A Crap is the right choice for you and your family, I recommend giving their free trial a go. There’s no risk; you can test out their paper and cancel if it’s not for you but I’d be surprised if you weren’t impressed enough to make the switch. Get your free box here. 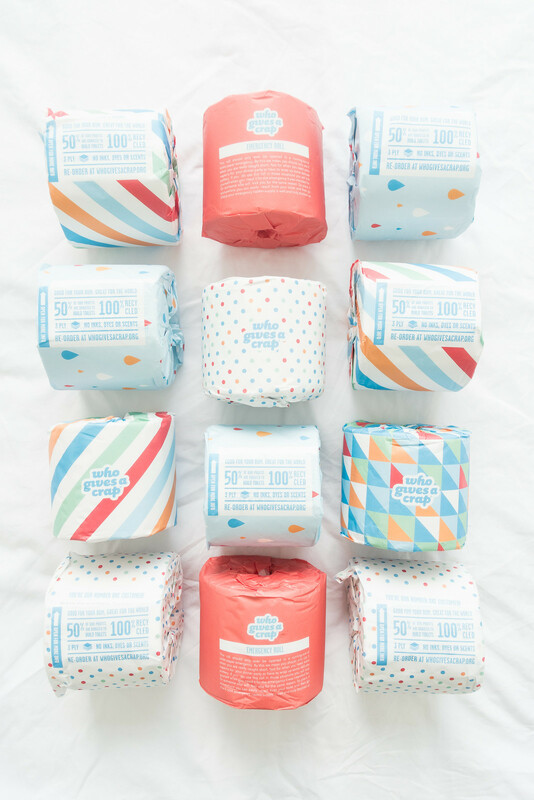 Simply sign up for a subscription to our 100% recycled TP and to get you started, we’ll send you a trial box of two recycled rolls and two premium bamboo rolls for free. Just cover shipping.